My name is Lisa and I have been living out my passion of making people feel confident for over 6 years! I love to see someone leave my chair feeling their very absolute best. I specialize in color corrections, hair extensions, cuts, hair styling & makeup for events/special occasions, and many other services. My schedule is very flexible and I will work with yours as well! Call or text to book an appointment or consultation, and feel free to ask any questions! Art. Passion. Creativity. Personalized design. People. These are why I love my job. I wanted to do this from my earliest memory of my hairstylist mother creating art with someone’s hair in our kitchen. I enjoy that each client is an individual with their own style that I get to engage with and cater to. Color, cut, styling…I love it all! But, most of all I love my clients. It takes a great deal of trust to sit in someone’s chair and let them take color or shears to your hair. I consider it an honor every time someone sits in my chair or refers someone to me. Its a joy, not just my job. 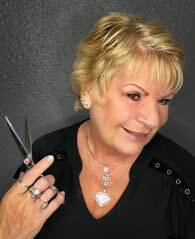 I have enjoyed over twenty five years as a stylist in the Brandon area. My background is a very eclectic blend of education. 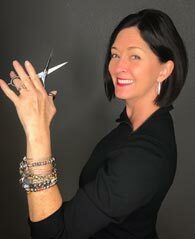 The majority of my education has come from Redken, through their specialist program and master specialist program, both which I have attended twice. I had also attended the Vidal Sasson Academy in South Beach, The Paul Mitchell Ambassador program along with various classes and seminars. My most current education comes from several Pravana classes I have attended, at this time I am using Pravana Cromasilk color and LOVING IT. The hair industry has evolved and changed some much in the past few years with social media. It has been an amazing resource I am taking full advantage of for inspiration and education. 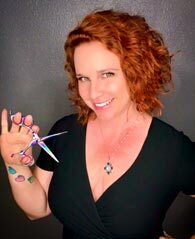 As a stylist and creator of hair art, I am always on a journey to improve, reinvent and perfect my skills and techniques. Color creations, well structure and creative cutting are equally a passion of mine and areas I am strong and confident. I love all parts of hair artistry, from the time I am so thankful to spend with my wonderful clients, to the end result of bringing our conversations about hair expectations to a reality. Feel free to contact my via text, call or Instagram with any questions or to schedule your next best hair experience! Hi! My name is Colleen. I've been doing hair for soo long and consider it a blessing!!! I come to work most days not believing this is my career because it seems more like a hobby. So many people are not happy on a consistent basis with what they spend most of their days doing. I try to remind myself daily I am not that person and am very grateful I found myself being led on this path. Come see me at Salon 705. I would love to meet you. My name is Marlene Stark. 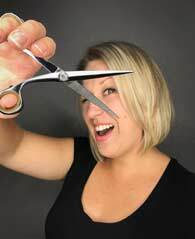 I have been a hairstylist for 24 yrs in the Brandon area. I have a loyal clientele who have been with me for 15 years plus. I’m very honest and only want the best haircut and color that will work for your lifestyle. I use Keune hair color. I have used Redken for 17 years and changed because the line was not giving the results it once did. Keune gives a very rich color and it holds its color. I’m currently excepting new clients and my hours are very flexible. Hello, my name is Daniela. I graduated hair school in 2004 after completing a three-year apprenticeship in Bad-Vilbel Germany. 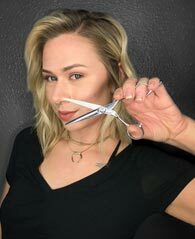 I am trained in a wide range of cosmetology services such as woman's haircuts, highlighting, haircoloring, perms, hair straightening, special occasion hairstyles and updos ,facial waxing and men's haircuts. 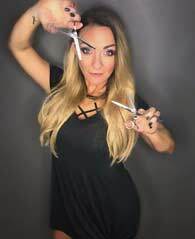 I specialize in precision haircuts,keratin straightening and great lengths hair extensions.I am always excepting new clients and I am looking forward to hearing from you. The best way to reach me is 813-454-8629. If I am not able to answer my phone, please feel free to leave me a message and I will get back with you as soon as I can. Hi, my name is Kerry Hayes. I have been a stylist for over 25 years now. I started my training with a Rusk platform artist named David Thomson. He developed my talent for artistic hair cutting and styling. I am also a colorist and use Pravana ChromaSilk color, Wella Blondor for high lighting and Pravana Clay lightner for balayage techniques. I enjoy continuing my education by attending periodic classes and hair shows to keep up with all the latest trends. I am also certified in doing Brazilian Blowout Keratin and Keratin Complex smoothing treatments. I am very fortunate to be able to do what I love, be blessed with such a wonderful clientele and look forward to new clients as well. Hannah is a beauty enthusiast! She loves giving people in her chair their transformations. She also loves educating her clients on everything to do with their personal beauty routine. Always feel free to ask her questions! Call or text for appointment at (813) 466-8256, and check out before and afters and see special offers on her Facebook page- Hair by Hannah! 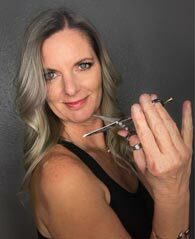 With over 20 years of salon experience as a cosmetologist, my flare for style, passion for creative color and precision cutting has enabled me to consistently make all my clients feel good about themselves. I worked in two other salons before coming to work at Salon 705. Throughout my career I continued to develop my skills and individual style by attending a number of business and educational events. Currently I am receiving most of my inspiration and education through Instagram. New age webinars and online learning tools has become an amazing way to learn the latest techniques and trends from your home. I have also attended Pravana, Redken and Paul Mitchell hands on workshops. I have the ability to create an individual look for my clients that makes them feel confident and beautiful both inside and out. I look forward to hearing from you. Please call me at (813)-363-789 to schedule your next appointment. 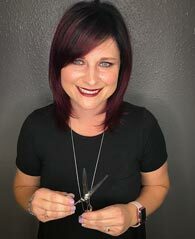 I have over 20 years’ experience as a hair stylist in Brandon, Florida. Classes include Vidal Sassoon, Paul Mitchell and Redken. The best education for me is watching the girls I work with and learning from each other. I do Redken color highlights and hair styling. I’ve been married for 20 years. Salon 705 is an exclusive hair and retail salon specializing in the latest trends and techniques as well as the polished classics. 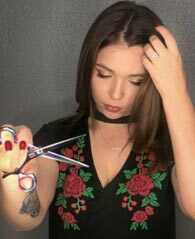 With 12 very talented hair designers, each carrying their own signature style, we offer a diverse choice of styles from classy and conservative to edgy and modern. Products and services include Haircuts, Hair Styles, Blowout and Dry Styling, Waxing, Extensions, Texture and Smoothing, Hair Coloring, Highlights, Keratin Complex, Make Up, Toner, Bayalage, Pravana, Cromasilk, Redken, Kuene, and more. We serve Brandon, Riverview, Bloomingdale, Lithia, Fish Hawk, Gibsonton, Seffner, Mango, Sun City Center, and Tampa.